North Korean leader Kim Jong-un has publicly acknowledged talks with the US for the first time, according to state media reports. US President Donald Trump agreed last month to talks with Mr Kim, but Pyongyang had been silent on the summit. 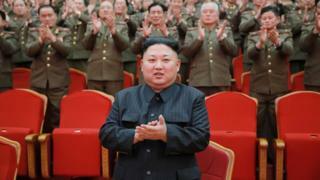 Mr Kim mentioned the “prospect” of dialogue between North Korea and the US at a meeting of party officials. Details of the proposed meeting, including timing, remain unclear. On Monday, Mr Trump said he planned to meet Mr Kim in “May or early June.” It followed reports from unnamed US administration officials that the US was in contact with North Korea in preparation for the talks. The unexpected announcement in March that talks were to take place so swiftly surprised many observers, who said summits of this kind typically need months of planning and negotiations. If the talks go ahead, it would be the first time a sitting US president has met a North Korean leader. Mr Kim did not explicitly mention a summit with the US president at the Workers Party meeting on Monday. Is Trump ready for talks with North Korea? According to state news agency KCNA, the North Korean leader discussed the “development of the North-South relations at present and the prospect of the [North Korea]-US dialogue”. Mr Kim is due to meet South Korean President Moon Jae-in at a rare inter-Korean summit on 27 April, following months of improving relations between the two countries. The planned summits with South Korea and the US are aimed at getting North Korea to give up its nuclear weapons, but critics have said Pyongyang may only be seeking the easing of harmful economic sanctions. Shortly after the meeting was first mentioned publicly by Mr Trump in March, a KCNA commentary insisted it was not sanctions but “self-confidence” that had brought it to the negotiation table. While the US has said North Korea is ready to discuss denuclearisation, it remains unclear what exactly the two sides mean by that. 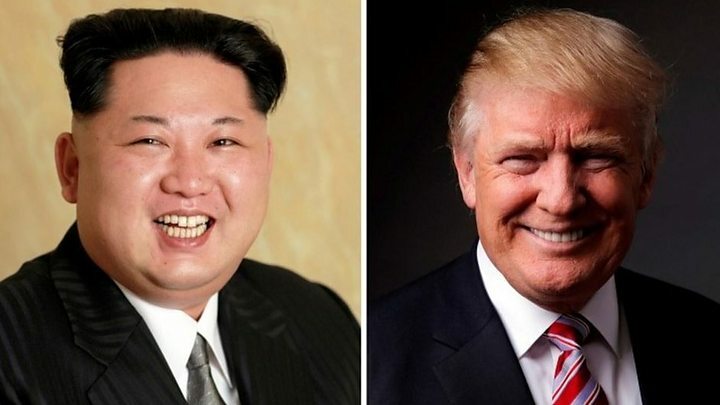 Washington wants Pyongyang to give up its nuclear arsenal while Pyongyang has repeatedly called for the withdrawal of US troops from the South and a guarantee that the US will not use its weapons to defend South Korea and Japan.